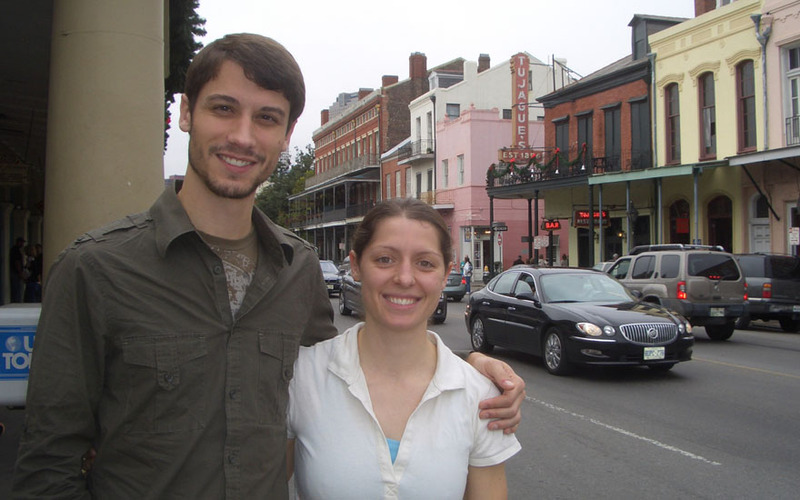 First, a special shout out to my little sister, Chayil, who turned… I want to say… 25(?) today (I’m in denial about the ages of all my siblings). Happy birthday, sis! Gawker Media tends to train their bloggers to come up with wild, attention grabbing headlines that are often hyperbolic and sometimes downright false. 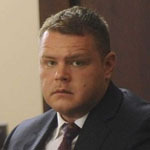 This may fall into the former category, but the fact is Texas has some weird laws on the books that lead jurors in the Lone Star state to essentially let Ezekiel Gilbert get away with murder. Is that is not the CRAZIEST thing you’ve heard this week? Aaaaaand now lets pivot from that depressing story to something a little less depressing: My new favorite band/ear-worm song. Yeah, I’m not to proud to admit that I watch Switched at Birth. It’s a guilty pleasure. Katie Leclerc stars in it, how can you say no to Katie? Plus, the show’s producers have great taste in music, as clearly evidenced by their inclusion of the song “Finger’s Crossed” by this awesome sister act, Karmina (which means song in Latin): Kelly & Kamille Rudisill (whose music, come to find out, is included in a lot of TV shows). I’m a big fan of “debunking” and this one is pretty interesting considering how many people I personally know who like to engage in “food activism” and adopt strange diets (including the Paleo Diet). Apparently, there is this idea floating around that because humans haven’t “evolved” significantly in the past 15,000 years, but our diets have radically changed this is causing us to super unhealthy. No doubt, much of the food people stuff into their gullets is pretty disgusting and unhealthy. Then again, the environment has radically changed in the past 15,000 years, diseases and viruses have evolved exponentially in their never ending quest to outwit modern medicine, and I’m pretty sure humans were not subjected to the hundreds, if not thousands of sources of radio waves and electromagnetic radiation created by modern technology. It is conceivable that bad diet alone isn’t causing all of our modern ailments. Not to mention that life expectancy has steadily increased over the past few millenia as our diets have gotten increasingly worse. So should we really aspire to eating and living the way our ancient ancestors did thousands of years ago? Do we even know enough about the diets of ancient peoples who lived long before the recorded history to replicate their diets? 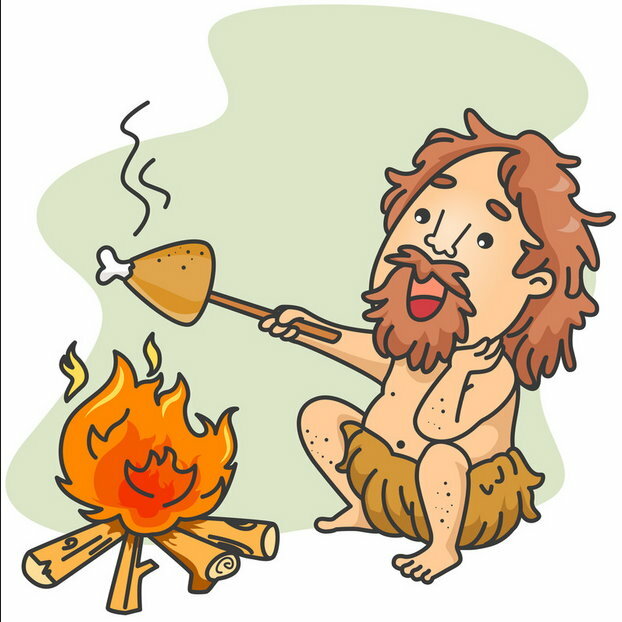 According to this article (and accompanying video for you lazy non-readers) it is not only impossible to replicate a Paleolithic diet, it is counter-intuitive to what we actually do know about our hunter-gatherer ancestors. Let’s be perfectly clear: We are still very much in the speculation stages of developing warp drive technology. However, the theories and applications of such technology are quite fascinating. So fascinating, in fact, that I actually to start recently watching through the old Star Trek television series just to prepare myself in case we start exploring the galaxy within my lifetime. No, I’m not becoming Trekkie, but it is nice to finally start getting all of the inside jokes and conversations my fellow nerd friends have been having all these years. 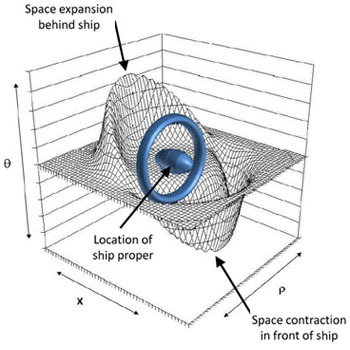 The premise behind warp drive is actually pretty simple: The laws of physics prevent matter from moving faster than the speed of light, and therefore in order to make traveling to star systems that are dozens or even hundreds of light-years away, we need to find a way to cheat the laws of physics and move through space at great speeds without actually moving. The most conceivable way we have come up with to achieve that feat is by bending space around a subject, causing the subject to change location in relation to all other objects in space without the subject actually absorbing or expelling kinetic energy (no inertia, no velocity, no acceleration, no momentum). We do know that space can be and is bent – after all, this where gravity actually comes from. The idea is that if we can figure out how to bend, or warp, space around a subject causing it to relocate without technically moving, we could theoretically travel distances “faster” than the speed of light, traversing several light-years in a matter of months. Coolest. Idea. Ever. I sure hope the science on this picks up speed (so to speak) so I can travel to another solar system within my lifetime. While I am on the subject of blowing your mind with science, I might as well share another semi-mind-blowing thing I learned about today: Might might not actually exist. I honestly can’t do this topic justice – and I don’t really have an opinion on it, I’m just fascinated by the mere debate – so I’m not even going to attempt to explain it. I will just provide the video for you and let you make of it what you will. 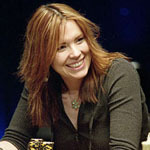 This podcast centers around professional poker player, Annie Duke, who arguably has the coolest logo in the poker world, and it delves into one of my favorite topics: Why poker is so misunderstood. I could easily write over one hundred pages about the virtues of poker. That’s right: the virtues. In fact, I have been considering starting a blog called “The Philosophy of Poker” and christening it with an article titled “How Poker Saved My Life.” That’s right: saved my life. Just over a year ago, I found myself drowning in self-doubt and a general disillusionment about life’s outcomes. Then I started playing poker. My brain seems to be naturally wired for many of the skills necessary to play good poker, so after discovering this I decided to develop those skills and learn as much as I could about poker. As it turns out, everything we generally think about poker is wrong. Poker is a brilliant strategy game that almost perfectly parallels with life, and when played “properly” can teach invaluable life skills about dealing with uncertainty, being process driven, having self-control, making wise decisions, managing risk, and even managing your finances. I would even go as far as to say every responsible parent should make sure their kids learn how to play poker from a young age. That probably sounds crazy to most – after all, most don’t really know the first thing about poker (most think it is game of chance played by degenerate gamblers) – but allow me to put it this way: Think about how much money we spend teaching kids sports. The pursuit of sports doesn’t hold a very realistic chance of developing into a career that the average person can make money off of (I suspect poker will become so competitive in the next ten to twenty years, neither will it) and yet it carries a very real risk of serious injury, even death. Yet, some families pour thousands of dollars per year into sports so that their kids can learn “hard work” and “team work” (as if playing sports were the only way to learn this – it isn’t, in fact, its one of the least effective ways to learn these skills and apply them to the real world. If sports were so effective at teaching team work, then America would be filled with some of the best team players in the world – it isn’t). On the other hand, playing just as much poker can easily cost less than playing most sports and offers with it dozens of more useful life skills (including critical thinking and emotional maturity among the ones I listed above) yet doesn’t carry with it any risk of bodily harm (unless, of course, you get involved in shady illegal poker games – but if you learn the appropriate lessons poker has to teach, you won’t because of the risk/reward factor). And don’t get me started with “gambling addiction.” Yes, some people play poker like they were “gambling” (some people also go skydiving), but addiction is a general personality disorder that isn’t triggered by a stimuli (i.e. alcohol, gambling, etc.) but rather simply manifests itself in whatever activity the person prone to addiction is engaging in. Many addicts become addicted to playing computer games, exercising, and more recently using their cell phones, but I don’t see anyone saying those things are inherently evil and must be avoided by society in general. Besides, playing poker isn’t actually gambling – it just resembles gambling. If you think about it, nearly every situation we face in life involves decisions involving uncertainty of outcome, risk/reward calculations, and a commitment of time & resources. If those three factors make poker “gambling” then all of life is gambling. Buying a house is gambling. Choosing a major in college is gambling. Biking downtown is gambling. Personally, I choose to have a less broad definition of gambling, which is that gambling is committing resources to predict an outcome where the payoff of a correct prediction is less than the statistical likelihood of making a correct prediction due to inherent limitations of information (i.e. every other game you find in a Casino besides poker). It is precisely this type of foolish, money losing activity that playing good poker teaches you to recognize and avoid. In other words, learning how to play good poker is more likely to help you avoid gambling addiction than to induce it. And that’s my two cents. I’m sure there will be more to come. I hope you find time to listen to and enjoy the Radiolab podcast! I am pretty sure that before I die I am going to have to fly in a wingsuit in order to have a “fulfilled” life. Its just one of those things. After seeing stunts like this, how could you say “no” to such a thrill? At least if I die flying in a wingsuit I will die a very happy man.